We would suggest you to not go for the investors who act like vultures. They will make sure that your idea benefits them and just them and when you won’t be able to make them happy they will just throw you in a pit. This is the reason why we suggest you to start up your own business even with the smaller investment. And this is where UAE becomes more relevant. It is one of the business heavens of the world where people can start pursuing their dreams even with smaller investments at hand. This is why we would be helping you out to plan a business in UAE and that also with a very small investment that you have. The first thing that you need to do before you get started with a business in to make up your mind and find out what is the real passion that you have. Mistaking something attractive as passion is a common mistake that many people do. Whenever you are given with an opportunity of offshore company formation, you might get overwhelmed and start planning things that you would get bored doing later on. Being profit oriented is a good thing for a businessman but being too much profit oriented makes you blind to obvious things at times. This means that you have to be very vigilant while choosing your business. If you like doing it then you should go for it but if you do not, then wasting your time would be harmful. Think wisely before you get ready to take an action. After you have chosen a thing that you think you really feel about and want to do, it is better to give it a practical thought as well. Are you ready to do it or not? Do you really want to do it? All these questions might seem a bit obvious to you but when you start thinking long term you will realize that our judgement is at times clouded by some obvious attractions but this makes us suffer later on in life. Being smart today will help you from turning out to be a fool tomorrow. If you are sure and you want to do it them make up your mind and always keep this thing in mind that there is no turning back once you have started. All these thoughts would help a lot. The next thing you are supposed to do is to do your research. Research is something that will make you prepared for everything that is to come your way. Besides research will help you out with learning things that most people learn by experience and this is why research is considered this much important no matter which field you are in. 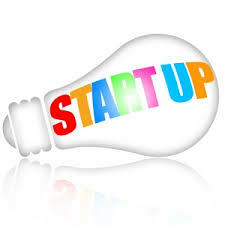 But when it comes to business it is very important to know what are the trends and prospects in your particular field. You must know what your competitors are up to and how they are doing it. And then you have to make sure that youfind out a way for yourself in this environment. If your research is done well, there is no way you could be stopped. Another important thing to know before you get started with your business is to understand who your clients, what do they want and why do they want it. If a business man understands the needs of his clients he would better be able to deal with the competition. You have to find the loop holes that only clients are able to find in the work of your competitors. Then you can plan a better strategy. You can also hire one of the good business consultants in Dubai to help you understand everything more effectively. If you are able to understand your client your business is surely going to be a success. Indulge everything in your services that the prospective clients are looking for. You will see the doors opening and things getting very easy for you. It’s all about opening your eyes and watching. Finally you have to get all the important equipment that is needed for the business. You have to give in all you have got to make this project a success. Having lesser investment means that you are more prone to feel the consequences of wrong choices. That is why you cannot afford to make any wrong decision. Understand the requirements of your business and plan to spend efficiently. Make a list of most important things and the less important things and set your priorities right. You will then see many options unfolding for you later on. Grab the opportunities that are coming your way and things would get easier from there. The last thing that you have to do is marketing. At times marketing could be a very expensive service but there is no survival without marketing. That makes it more important for you to plan a complete marketing strategy. Take help of a consultant if you want to and find out the best way for your company to thrive and succeed in this environment. Even if you have lesser amount of money, you will succeed only if you keep an eye on all these things and move very smartly.